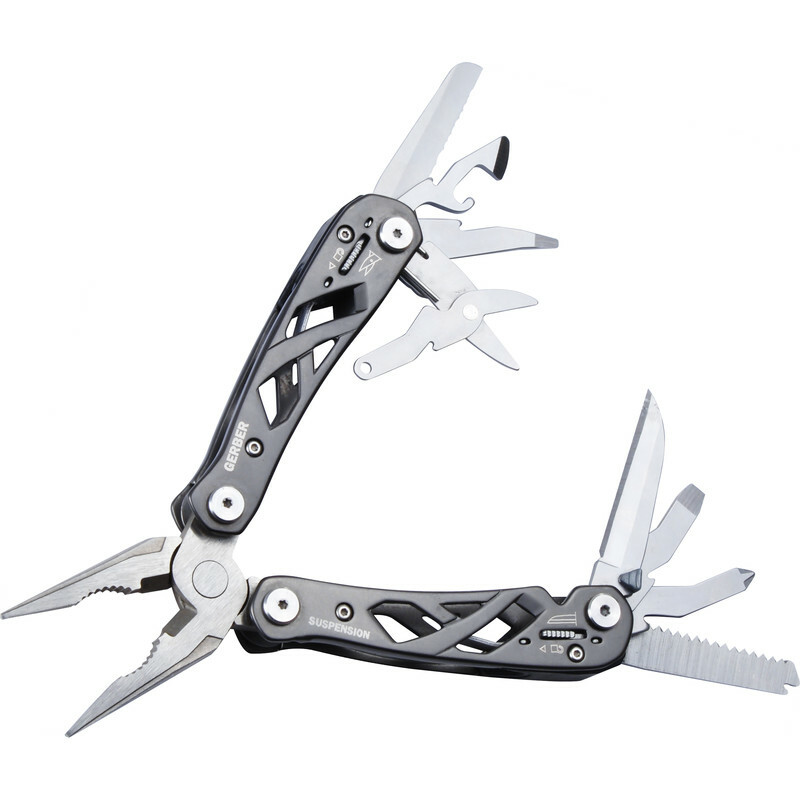 Stainless steel multi-tool with spring-loaded pliers held safely with patented Saf.T.Plus locking system. Rust-resistant. Comes with nylon wallet.